Australia is investigating hi-tech solutions to prevent shark attacks, which are rare but highly publicized events in the water-loving country. This year has been particularly tough in the state of New South Wales, with more than a dozen reported shark attacks, including one which resulted in the death of Tadashi Nakahara, a Japanese surfer, near Ballina. 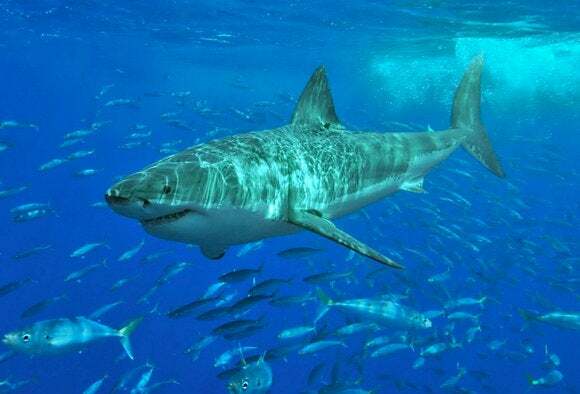 On Sunday, the state's government announced it would spend AU$16 million (US$11.6 million) over the next five years trying shark mitigation strategies, almost half of which will be spent on new aerial detection methods and sonar-emitting smart buoys. But New South Wales has more than 900 miles of beaches, and surf conditions are too rough at many to deploy nets or barriers. The fear of sharks hit a fevered pitch in Western Australia, where government started capturing and killing sharks in early 2014 using baited drum lines. The program was eventually abandoned amid widespread criticism and questions over its effectiveness. A natural evolution of that strategy is to also use much cheaper drones. NSW said it planned to trial unmanned aerial devices or drones, although the locations for the trials haven't been picked yet.